The University of Delaware Volleyball Team has been in existence for 25 years with the first Varsity Team competing in 1972. During this time only two head coaches have headed up the program. Susana Occhi was the first coach and coached for one year. Barbara L. Viera has been the coach since 1973. The program has been very successful over the years accumulating an overall record of 655-393 for a winning percentage of .625. The team has only been below .500 in three of its 25 years. The team has had a fine tradition of overall competitiveness among the best teams on the East Coast. The University of Delaware is a member of the America East Conference. In addition to Delaware, the following conference schools have volleyball teams: Drexel, Hartford, Hofstra, New Hampshire, Northeastern, Towson, and Vermont. The America East Conference now has a automatic bid to the NCAA Tournament and is no longer involved in the NIVC. Delaware began granting scholarship aid to its players during the 1992 season. Since that time its ability to attract top players has become even stronger than in the past. Delaware is a excellent academic institution and has always attracted top-notch scholars. In the last five years Delaware has been Regular Season Champion, Conference Champion, or Conference Runner-Up. These five years have been very positive ones for the team. Entering the 1997 Season, Coach Viera is very optimistic that these successes will continue. The team loses three outstanding seniors from its 1996 squad but has excellent talent returning. The team invites you to come and join the excitement at any scheduled match. Below is additional information about the University of Delaware and the UD Volleyball team. 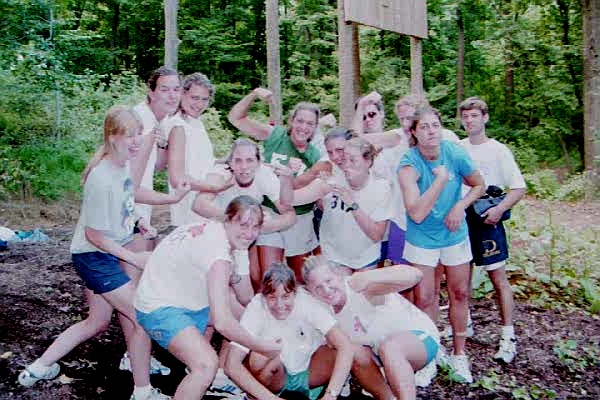 Volleyball NAC Guides for 1995 and 1994. The Undergraduate Catalog provides information about academic programs and undergraduate majors. The University Facts and Figures provides information about the size of the University and the makeup of its student body. The on-line image collection provides images of the Delaware volleyball team in action. The Student Services for Athletes guide provides information about services available to student athletes on campus.